German pedagogue and theologian, and advocate of the Jews; born at Hain-zur-Dreieich, grand duchy of Hesse, Sept. 16, 1747; died at Carlsruhe March 19, 1822. He held various positions as preacher and professor, and toward the end of his life was counselor to the government of Baden. As such he took great interest in the affairs of the Jews, which, after the Congress of Vienna, occupied the attention of German statesmen. 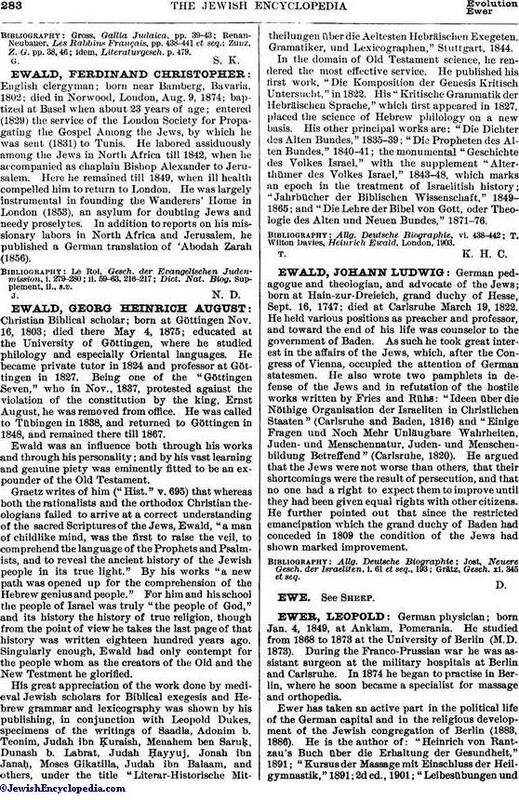 He also wrote two pamphlets in defense of the Jews and in refutation of the hostile works written by Fries and Rühs: "Ideen über die Nöthige Organisation der Israeliten in Christlichen Staaten" (Carlsruhe and Baden, 1816) and "Einige Fragen und Noch Mehr Unläugbare Wahrheiten, Juden- und Menschennatur, Juden- und Menschenbildung Betreffend" (Carlsruhe, 1820). He argued that the Jews were not worse than others, that their shortcomings were the result of persecution, and that no one had a right to expect them to improve until they had been given equal rights with other citizens. He further pointed out that since the restricted emancipation which the grand duchy of Baden had conceded in 1809 the condition of the Jews had shown marked improvement. Grätz, Gesch. xi. 345 et seq.